Other photos: Salon, Salon, Salon, Salon, Salon, Salon Sunroof, Galley, Galley, Galley, Breaker Panel, Entertainment Center, Master Stateroom, Master Stateroom, Master Stateroom, Master Stateroom TV, Master Head, Master Head, VIP Stateroom, VIP Stateroom, VIP Stateroom, VIP Stateroom, VIP TV, VIP Blue Ray Disc Player, VIP Head, VIP Head, VIP Head, Helm, Helm, Helm, Helm Joystick, Helm, Helm, Helm, Helm Galley, Helm Companion Seating, Cockpit, Cockpit, Cockpit, Cockpit, Cockpit, Cockpit Sunpad, Transom Trunk, Transom Storage, Engine Room, Engine Room, Generator, Starboard Bow, Port Profile, Port Profile, Starboard Profile, Transom Profile, Transom Profile, Transom. Professionally maintained with extremely light use, Allegre is the epitome of a “rare find” in the mid 50’s Sundancer market. With less than 120 hours, elegant upgrades and such a user friendly creature comfort platform for entertaining guests or family outings. 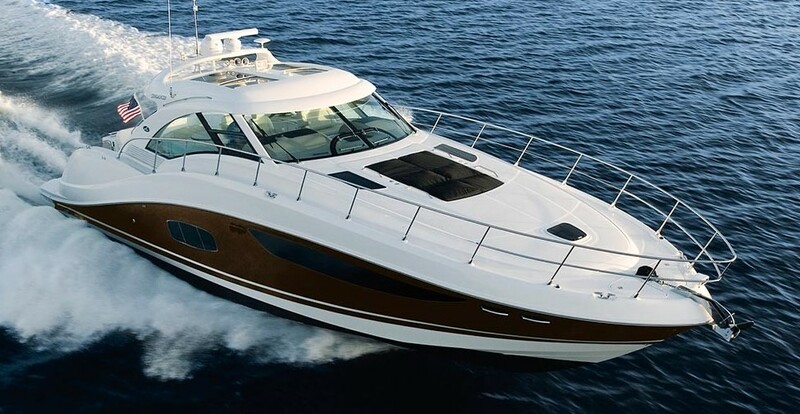 This 54’ offers its next owner a fresh feeling vessel from bow to stern, inside and out. A perfect size to owner operate with ease in handling with Zeus pods married to the reliable Cummins QSC 8.3 Zeus Diesel Drivers. The Cummins QSC and Zeus package delivers a smooth, quite, very efficient running express with a shallow draft. This vessel exemplifies today’s standards and will not be on the market long!